The goal of this article is to touch on the topic of owning a website and some of the responsibilities that go along with it. Diving into this topic is not an easy endeavor but the first thing I will mention is one of my favorite websites to get some info on Internet Stats. Owning a Website is like owning a home or a car. You need to make sure you have a strong foundation, solid design and that it is properly maintained. Internet Live Stats shows some in depth information about what is happening on any given day. If you view it today, you will see that there are over 976,000,000 websites on the internet (WordPress Powers 25% of the Web). You will get more info about how many blog posts are written each day, social media activity across the web and even how many websites get hacked daily. The reason I mention this site is because it shows you the level of activity taking place on the web. Owning a website is easier today than it was 10 years ago. Thanks to services like WordPress, Drupal, Joomla, Tumblr and others, you can now get a website up and running in a matter of minutes. What used to be only accesable to fortune 500 companies with their mega budgets, is now easily affordable for the average person. For the nominal cost of a Domain Name $10 per year, Hosting Account $10 per month and some free or premium themes $60 you could have a website that rivals in looks and functionality some of the biggest players online. The cost is no longer a barrier to entry. 1. Choose a Domain Name – This is extremely important. Names mean something. For example, my site is called PixemWeb. I chose this name because the internet is built with Pixels, Em’s and is on the web. It can also be considered a madeup name. Your name will potentially stay with you for a long time so think hard about what your name will be. You can buy a domain name with us Buy Here. 2. Choosing a Website Host – The topic of hosting a website is debated by everyone in the know. Some will say that you can host your website for virtually no cost (less than the cup of a starbucks coffee) or that you will need enterprise level hosting with the cost that goes with it. In reality, everyone has different needs. It all depends on if you are a local website with less than 10,000 views per month or if you’re the next Facebook and require your own Datacenter. For the average person just starting out you could get by with basic website hosting. Obviously there is a difference in performance from Shared Hosting to Dedicated Servers. A website is housed on a computer most often in a datacenter. Shared Hosting (Basic Entry Level Hosting) means that your website is on the same server as potentially thousands of other websites. Each competing for computer resources. The more websites on the server the more dilutted the resources. This type of hosting is ideal for smaller websites and blogs that might not have the budget to spend on more robust systems. Is Shared Hosting a bad choice? No. Think about it this way. If you need to go food shopping at costcos or bj’s. Would you drive a Lamborghini Aventador or would you rather go in a Ford Explorer? Obviously you will choose the car that makes sense and that you can afford. If you have 1 Million people visiting your website from all over the world, then you will need the more powerful server, otherwise stick with shared hosting. Get what you need. Buy Hosting. If you find that you have greater needs then you can always upgrade to a VPS aka Virtual Private Server, Managed Hosting, Cloud Hosting or a Dedicated Server. 3. Choosing a Platform – As I mentioned earlier, there are a bunch of platforms you could use for your website or blog. I focus on WordPress because it meets the right balance of ease of use while still allowing me to own my website. Now what does that mean? 4. Choosing a Design – Maybe you have the big bucks to spend on a designer. Maybe the money in your wallet has other priorities like food, housing etc. 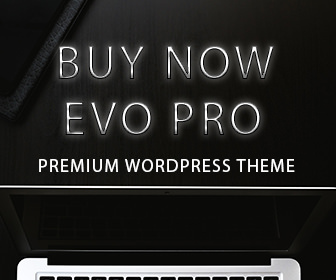 The good news is you could choose from some of the high quality free themes on WordPress or choose a Premium WordPress Theme like Evo Pro . As mentioned earlier the barrier to entry no longer exists. 5. Choosing functionality – Every website has different needs but honestly, the average website needs some basic pages, contact form and a way for people to subscribe. Maybe you need an image slider or an ecommerce solution. You just need to sit down and make a list of what functionality you require. If applicable, take a look at other websites that are within your niche. For instance Real Estate Websites need a way to feature their latest listings and maybe every listing within their MLS. 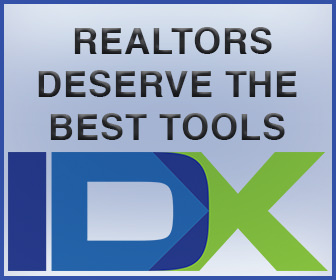 For that you will need an IDX Solution. Good news, as an IDX Developer you could save a few bucks by using my developer link. Savings Here. Maybe you need a CRM for your website. 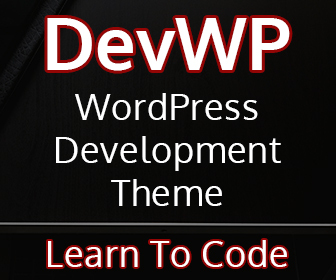 There are some great ones on the WordPress Repository. Ultimately you need to decide what you need and how to get it. 6. Website Optimization – This is a large topic and beyond the scope of this article but basically you want to make sure that your website is optimized for the web. You’d be surprise that the overwhelming majority of websites aren’t. What this means is you want to make your images as small as possible, ensure your website is fully responsive, lite weight enough to be viewed on smart phones and user friendly. 7. Website Security – This is also a large topic but the gist is that you want to ensure that your website is secure. You can do this by following some basic rules. Lock down your hosting account, website admin account, email accounts etc with a super strong password and 2 factor authentication. Choose a secure theme and secure plugins. Update immediately when there’s an update available. Limit access to the backend of your site to those who need it. Use a website firewall, malware and antivirus scanner. Also secure your own computer and wifi. Here is an article I wrote about Password Managers. 9. Search Engine Optimization aka SEO – This is about how your website ranks in the search engines like Google. This is similar to marketing because your websites popularity will factor into your rankings but SEO is more than just popularity. It’s about following best practices. This is vital because if your website ranks high then you will generate more leads, business or followers. 10. Website Maintenance – You also need to maintain your website. Make sure you have no broken links, that your site is updated often, keeps up with the latest trends and technology. Owning a website is no small thing. It might be easy to do but there are some things you need to think about when getting started. Hopefully these tips will help you out to either build your first site or re create your current site. If you need any help, feel free to reach out and we can determine what your needs are and how to get started. If you enjoyed this article feel free to share.